Couple of photos to add of the vintage competition winners and the player of the year. And don't forget to have a look at the gallery for shots of the Partick Bell. 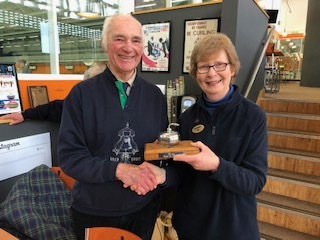 Well done team Lyon on the victory in the Spring league. 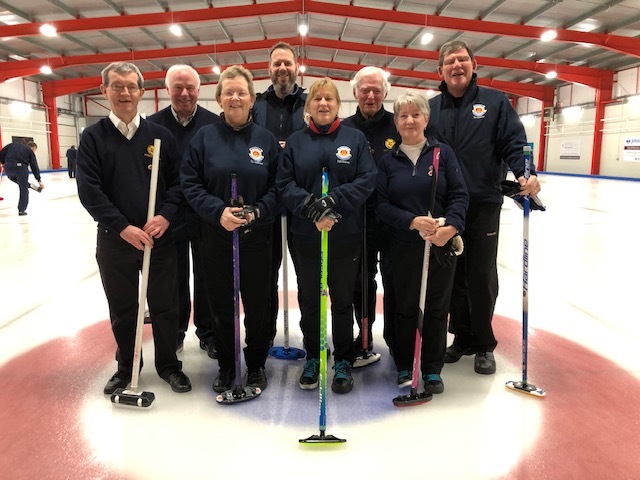 Partick team pictured at Edinburgh Ice Rink 18 Jan 2019 with Penicuik opposition for a friendly match which in the true spirit of friendlies Partick insisted on not winning. 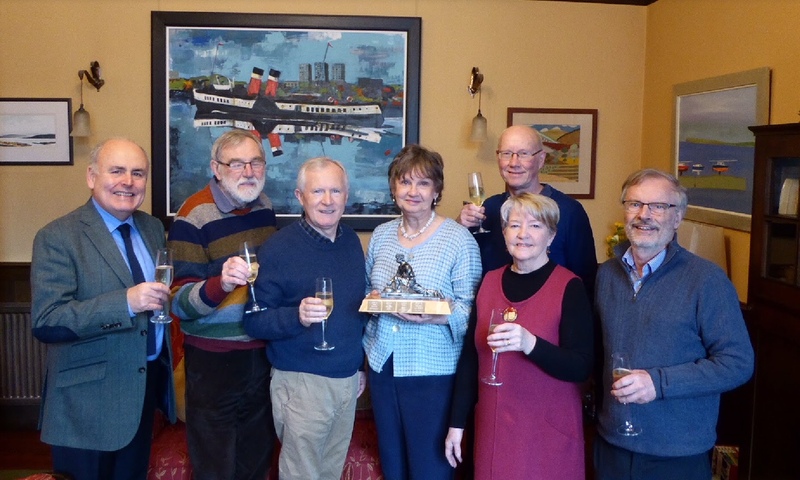 Travelling West Coast members Duncan MacColl, May Morris and Robbie Wishart were aided by long time Partick member, now Edinburgh resident and Gogar member, Geoff Johnstone. 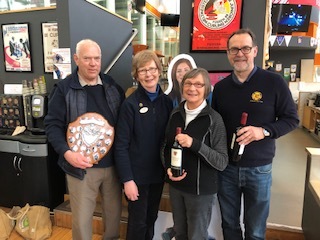 Congratulations to the Partick team entered in the Clive Thomson, a 7:6 victory. Sadly not enough for the competition as Glasgow won overall by 64:49. 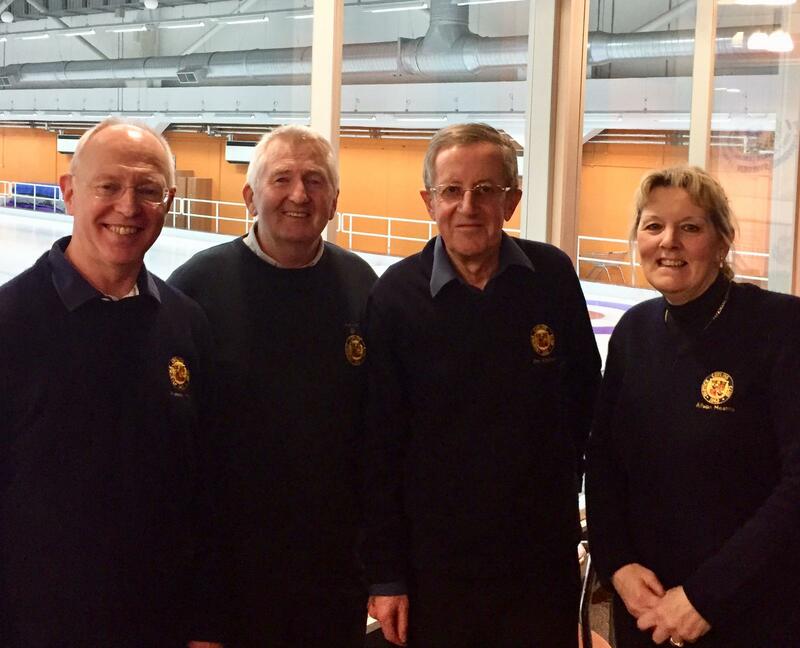 The Season kicked off on Monday with the Dan McFarlane opening bonspiel. 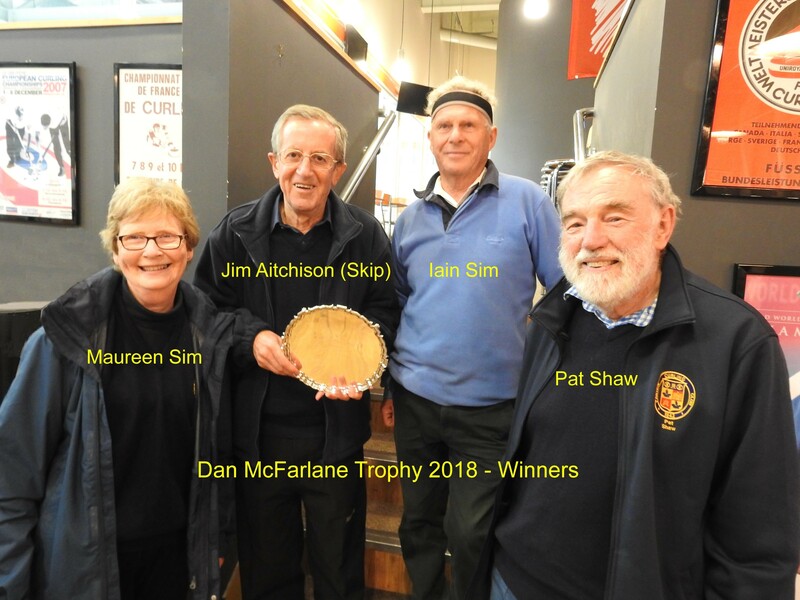 A very successful start to the season with many congratulations to Jim, Maureen, Iain and Pat on their victory and thanks to Ronnie for all the organisation. Almost a welcome back to the new season but before we do I would like to draw your attention to the Partick Curling Club privacy notice for members. Please note, there is also a permanent link to this held under the club information link on the left of the screen. 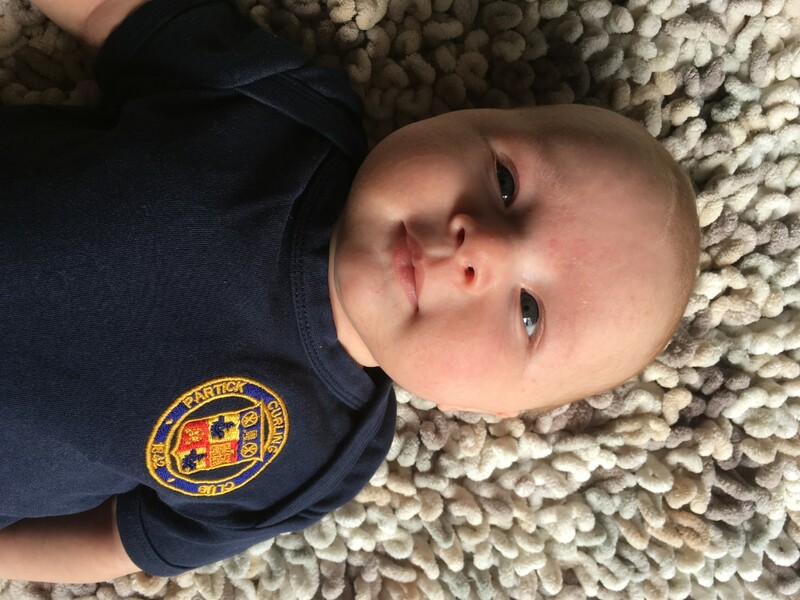 Looking forward to seeing you all again at the Dan MacFarlane Opening Bonspiel on the 24th Sept.
Hooray, the recruitment plan for our juniors is going well with a new face ready to take to the ice as a Partick representative. 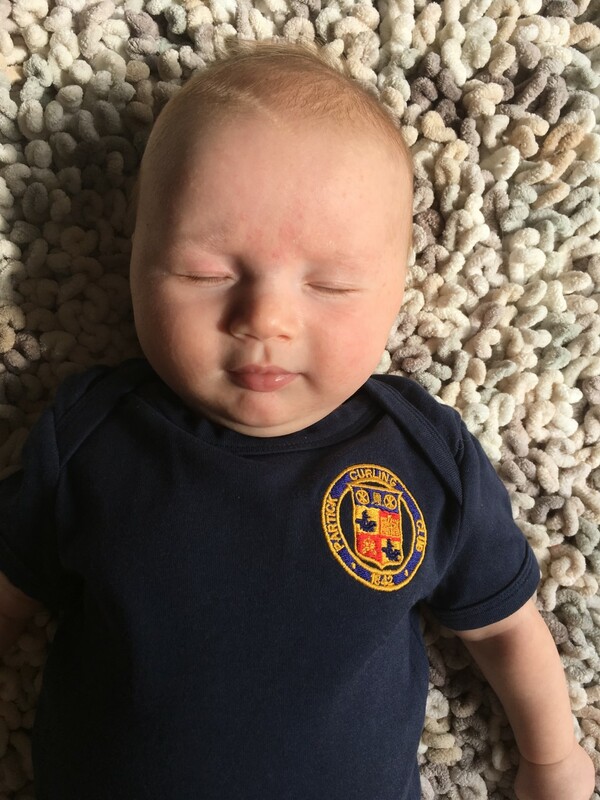 Congratulations to Carol on recruiting Logan, the star player of Partick. Rink E got things right on the ice in the Spring league and know how to celebrate off it. Congratulations! Check out the gallery for some snaps of the competition.